Each year, we compare and contrast the various options for professional conferences to attend. Meager funding means it better be of use to both my home institution as well as my own personal growth. In 2015, I opted for two – Museums Alaska (as outgoing President it’s pretty much required) and Western Museums Association (WMA). Our official #WMA2015 Facebook profile photo. WMA 2015 took place in sunny San Jose, a community I visited for the first time in January of 2015. This is my first full year as a member of the Board of Directors of WMA and a January meeting at the conference hotel of the upcoming meeting is a tradition. With that two-day visit I was able to connect with members of the board and strike up some professional relationships that have already borne fruit. But what that visit really did was prepare me for the October conference by orienting me to the immediate area around the hotel and give me a taste of the community. By the time October arrived, I was still reeling from a busy 4 days in Cordova for Museums Alaska, only three weeks prior. But my colleague, Della Hall, and I were ready to have a repeat performance as roomies and I was signed up to be her official conference mentor. Another UAMN colleague, Jonah Wright, was attending WMA for his first time and we were excited to absorb as much as possible over three days. Della, Jonah, and I enjoying music in the lobby of the Fairview. Over a period of three days, Jonah, Della, and I each experienced our own unique conference – Jonah attended exhibit-focused sessions, Della and I went to collections sessions [two really generated a ton of discussion and thought: Understanding Image Copyright (is it possible?) and Long-Term Thinking about Collections Stewardship]. This year I yearned for more of the leadership track, and so I absorbed what I could from some of those I look to in our region as the movers and shakers, in sessions like Leading from the Position You Are In, Defining Leadership Across Generational Divides, and The Challenges of Leadership: Working with Governing Bodies. Each session gave me food-for-thought about how I want my career to blossom, identifying my own weaknesses and how to turn them around, as well as giving me a chance to acknowledge my own experiences and expertise as valuable. Rather than presenting at WMA 2015, I took on a role of inquirer. This year, I felt I was able to ask the questions many might be thinking, to dig deeper and get at the big questions of “why” and “how.” I was rewarded with answers that got many of us thinking and talking after the sessions. A conference theme of “Listen – Learn – Lead” can take you in many directions if you let it. I love WMA conferences for this – whatever your entry point and level, you are able to step into a topic and get something valuable, bring it home, and put it to use. I reconnected with people I hadn’t seen in many years, from my RC-WR officer days, and made new connections with emerging professionals and esteemed leaders alike. 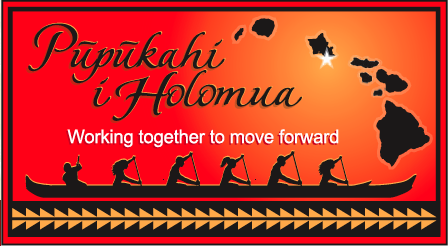 I now feel energized to go into the 2016 conference in Phoenix, ready to take on the conference theme of “Change“. This is a hard thing for an industry steeped in tradition, “best practices,” and “professional standards.” How can we push ourselves to grow and get better, while keeping true to our past? This is something I’ll be thinking a lot about in the next year. Thanks #WMA2015 – you were a blast! Attending museum conferences can bring on a range of emotions: anxiety over flying long distances, anticipation of being reunited with friends made through years of attending such meetings, satisfaction over a well-executed collections volunteer event, respect for the ceremony associated with years of tradition, inspiration following days of presentations, networking, and impromptu intense conversations, and finally, the grounding that occurs when you return to your home institution and you try to figure out how to implement these ideas that have now taken root in your mind. It’s now been over a week since I traveled to Honolulu, Hawai’i for the 2011 Western Museums Association annual conference. This gathering of museum professionals from the Western states was made even richer by the co-organizing of the meetings by the Association of Tribal Archives, Libraries, and Museums. 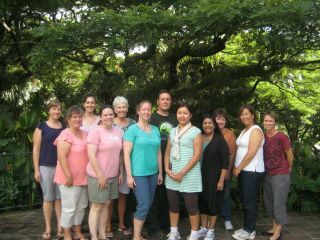 Our hosts were the Hawai’i Museums Association and the Pacific Islands Museum Association. This diverse assemblage of individuals made for an exciting week, made up of sessions ranging from the practical (planning for collections moves, the joys and necessity of inventories, understanding the role of appraisals, emergency response resources in the West) to the insightful (models for reviewing indigenous collections in museums, board meetings that inspire). A particularly ingenious feature of this year’s meetings was the “Tour & Talk” option of taking three hours out of your conference schedule to go off-site to a museum (in my case, the Mission Houses Museum) to hear a talk and get a behind-the-scenes tour. Our guide spoke of a topic so many museums are (unfortunately) becoming experts at: doing more with less. His many fine examples of ways to use volunteers gave us food for thought, and the tour through the Chamberlain and Frame houses elicited in me, a sense of wonder of the Native people of Hawai’i in the mid-19th century and the changes they faced as, at the same time, Alaska Natives were introduced to Yankee whalers and Russian and British traders. Without a doubt, however, the most fun and rewarding times were spent in the company of the many registrars and collections managers I’ve gotten to know through my four years of officership in the Registrars Committee-Western Region (RC-WR). We started our time in Honolulu with a CSI:Registrars event (Collection Services Initiative) at Queen Emma’s Summer Palace, operated by an all-volunteer organization, the Daughters of Hawai’i. Collections Services Initiative volunteers with Daughters of Hawaii Regent Dale Bachman at Queen Emma Summer Palace. Photo courtesy of Malia Van Heukelem. This beautiful Victorian-era home was the summer retreat of Queen Emma, wife of King Kamehameha IV. Filled with objects from the late 19th-century, it was a complex combination of items of the Native Hawaiian monarchy and gifts from royalty the world over. RC-WR volunteers worked for a full day to inventory all of the objects in the public spaces, making note of conditions and suggestions for improving the overall care of the collections. The next day, many of us attended pre-conference workshops; I was lucky enough to be added at the last-minute to the “Surveying and Assessing Collection Needs” seminar held at the Honolulu Academy of the Arts and taught by Janet Ruggles, Balboa Art Conservation Center (BACC) Executive Director and Chief Conservator of Paper. I’m still absorbing all that I learned this day and look forward to sharing particular insights with my colleagues at UAMN. Over the following days, the RC-WR crowd had many occasions to laugh and learn together. Our annual business meeting on Sunday was bittersweet: the end of my term as Vice-Chair, the beginning of a new term for four energetic and intelligent women from Oregon, Alaska, and Washington. The discussion of the future of our national organization, the RC-AAM, as introduced by our Chairperson Darlene Bialowski, and what it might mean for all of us in this large and powerful professional committee, left us pondering how we would each approach these coming changes. The final day of the conference started with an inspiring keynote address by Ralph Regenvanu, MP, Minister of Justice and Community Services, Vanuatu. His talk, entitled “Getting Cultural Heritage on the National Agenda: A Case Study from Vanuatu” described efforts to safeguard the intangible cultural heritage of the indigenous people of Vanuatu, and how they are making progress towards the incorporation of indigenous concepts in the development of national policy.